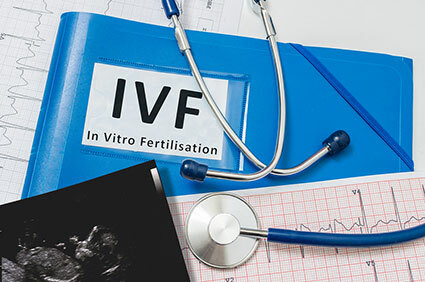 In vitro fertilization (IVF) is a fertility procedure carried out in a laboratory, which involves the fusion of male and female gametes to form a zygote. The resulting embryo(s) are examined for quality, and then one or more are put into the uterus via the cervix. IVF is a commonly utilized high-tech fertility treatment, which accounts for about 99 percent of assisted reproductive technology treatments. In fact, since its introduction in the United States in 1981, this treatment and other similar procedures have resulted in approximately 200,000 infants. Women who intend to use their own eggs should be in their early forties, although an extension is usually made up to the age of 45. Donor eggs, whether from known, identified, or anonymous donors, are eligible for women below the age of 50. To qualify for IVF, both partners should not be abusing narcotics, alcohol, or any other illicit drugs. All smokers are encouraged to quit before the fertility treatment. Being overweight or obese can affect the result of treatments adversely and can lead to a higher likelihood of risky pregnancies. Thus, obese patients are encouraged to lose weight before the procedure. People diagnosed or showing severe psychiatric disorders are not allowed to undergo this treatment. Moreover, individuals who exhibit severely unstable, dysfunctional, or abusive relationships are required to receive therapy before IVF treatment. Dr. Victor Beshay together with his team at the DFW Center for Fertility and IVF, proudly provide excellent services that range from initial examination to comprehensive treatments for early prenatal care once pregnancy is attained. With many years of serving families throughout the North Texas region, we have restored happiness to many new parents. For more information or IVF treatment, schedule an appointment in Allen, TX or call us at (469) 854-0305 for a consultation.